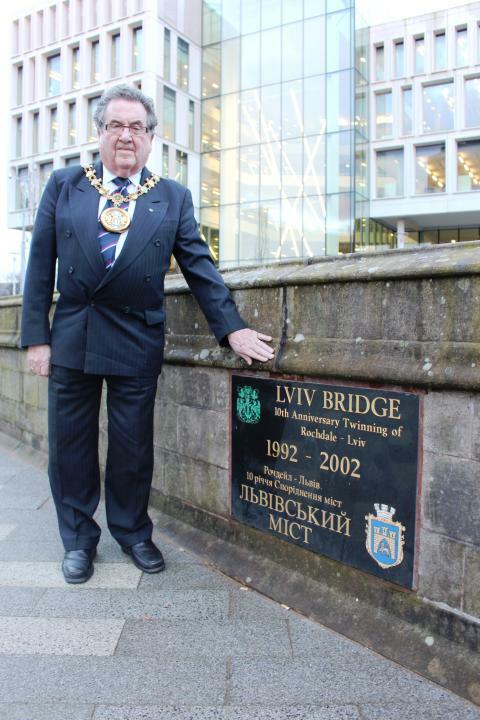 The Mayor of Rochdale has issued a statement in support of the people of Lviv. Rochdale is a town in the North West of England which is twinned with Lviv in Western Ukraine. “We want to let the people of Lviv know that we are thinking of you at this difficult time. 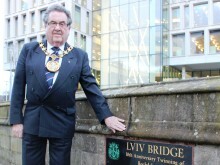 We are proud of our close links with our sister city. You are in our hearts and minds and we support your quest for continued freedom and democracy. Rochdale has a sizable Ukrainian population and has a thriving Ukrainian Cultural Centre. After WW2 the largest group of non-UK residents in Rochdale were Ukrainians. Rochdale Council unanimously voted and called upon the Government to recognise 1933-34 ‘Holodomor’ as an official act of genocide. There is a memorial stone commemorating this in Rochdale’s Memorial Gardens. Each year on 23 November representatives of the Borough gather there to pay their respects. 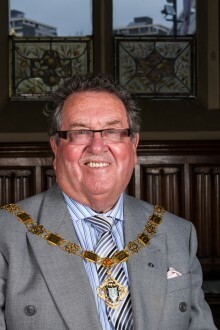 The role of Mayor of Rochdale is that of ‘First Citizen’ who represents and speaks on behalf of the town. It is a non-political position. Residents are being urged to nominate outstanding young people in their community for the Mayor of Rochdale’s Youth Awards, with the deadline for nominations Friday 28 February. Held annually in recognition of young people’s achievements and contributions towards their peers and local communities, the awards are open to any one aged 11 – 19 based in, or connected to the Rochdale borough. 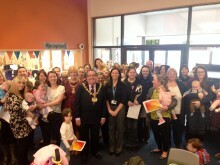 The Mayor and Mayoress of Rochdale Borough visited Derby Street Sure Start Children’s Centre this week to present successful parents with certificates for attending a 5-week Home and Outdoor Safety course.